On Tuesday 22 March 2017, sixty-six senior students from eleven high schools on the Gold Coast came together, in partnership with Griffith University and the Compassionate Gold Coast, to shape the future of the city for the Commonwealth Games and beyond. The day started with an introduction by Terry Ayling, Facilitator, Compassionate Gold Coast, and Dr Lynne Reeder, the national facilitator of the Charter of Compassion Australia. Their presentations provided students with an overview of the Charter, its work in Australia, the elements of a compassionate city, and new approaches to compassion. With this information the students then had the rest of the day to debate and discuss exactly how the Gold Coast might become a compassionate city. The students covered many topics including homelessness, domestic violence, racism and bullying from a compassionate perspective. 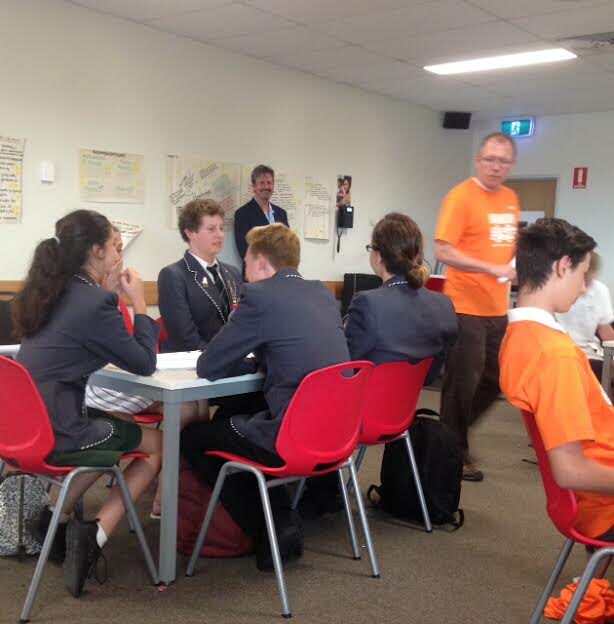 The energy in the room was palpable as the students developed official recommendations for projects that will build a stronger and more harmonious Gold Coast community. These recommendations will be presented to the Gold Coast City Council in the lead up to the Commonwealth Games in 2018.